As for ringing in the New Year with good luck foods, these amazingly delectable petite poppers have you at least partially covered. Check list: bacon (the pig routing forward) dates (a symbol of money) lemon (fruit for abundance). 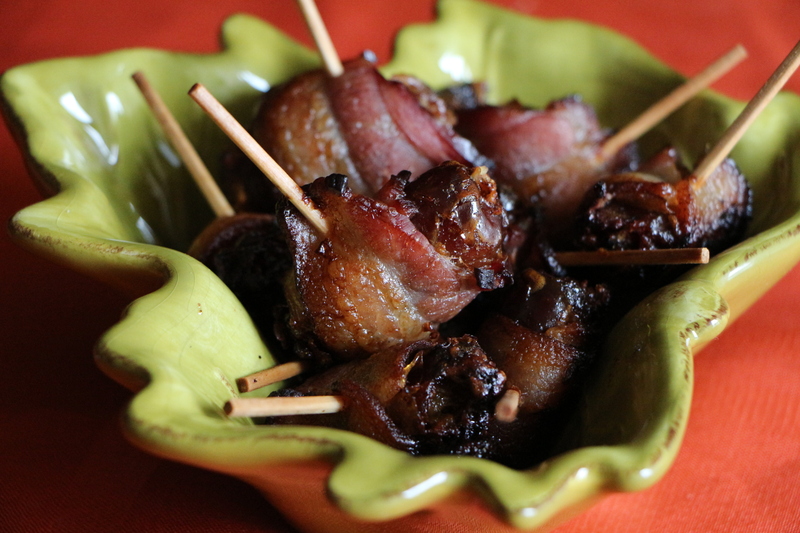 Not to mention these sweet, smooth dates stuffed with lemony cream cheese all wrapped up in semi-salty bacon and baked until crispy are seriously delish!! 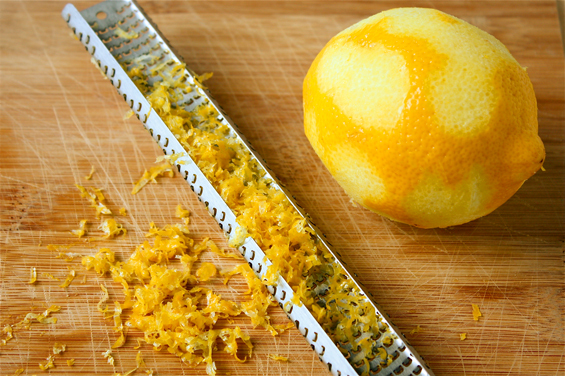 In a small bowl mix softened cream cheese and lemon peel. Refrigerate until almost firm and cold. Slice dates in half, and open them up. Add ½ teaspoon of cream cheese into center. Close the halves and wrap a half-slice of bacon around the outside. Secure each one with a toothpick. Arrange in a baking dish or on a baking sheet with sides to catch any grease. Bake for 30 to 40 minutes in preheated oven, or until bacon is crisp. Turn dates over after the first 20 minutes for even cooking. Best served room temperature. Thanks, hon! I just did as you suggested & now I’ll be able to see you again!! Thanks, Lynn! I also roll them on occasion in brown sugar & cinnamon before baking…super caramely! Thanks so much, Daniela!! Happy New Year Blessings to you & your family! Happy New Year to you too! Have an amazing 2016! Thanks, Lynne! I agree! Their tastes flow beautifully together!